Hosted by Mansfield Hall, Vermont Family Network, the Center on Disability and Community Inclusion, and the College of Education and Social Services, Asperger's Are Us will be coming back to Vermont for a comedy show at 7:00pm on Saturday, October 21, 2017 in Mann Hall Auditorium. 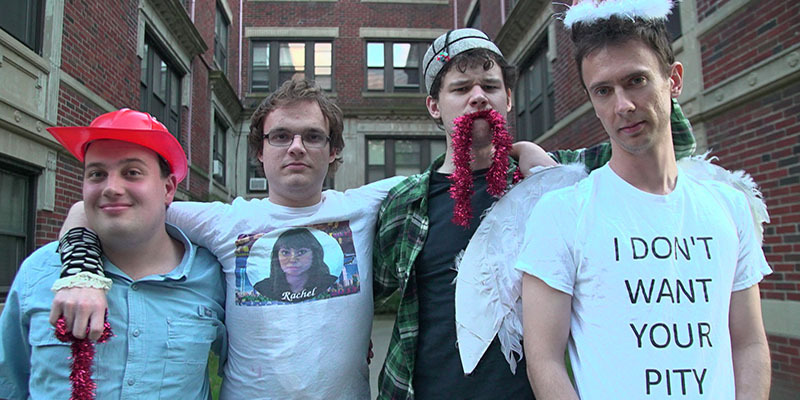 Asperger's Are Us have been touring the country and recently played at the Vermont Comedy Club this fall. The troupe is the first composed of comedians on the autism spectrum and the subject of the documentary of the same name produced by the Duplass Brothers, which is now available on Netflix. Asperger's Are Us present a quick-witted sketch show full of dark absurdity and word play, followed by time for questions and answers at the end. This show is appropriate for ages 13 and older, and it is free to the public. For more information, please visit the Facebook event page.